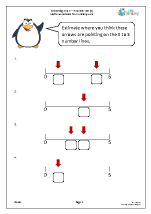 We have arranged all our Early Reception Maths Worksheets (age 4-5) into the following categories. Each has many resources within so why not jump in and explore the site? 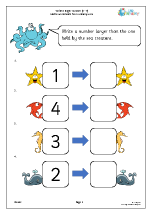 Our newest Early Reception Maths Worksheets (age 4-5). Have a look at some of our latest resources. The ability to calculate mentally lies at the heart of success with number and the importance of a good start cannot be over emphasised. Some children will only be four when they start in Reception, others will only have two terms before moving on to Year 1. Some will have been to nurseries or play groups and some will not so there will already be a wide difference in the knowledge and understanding that children bring to the classroom. In Reception counting will be mainly oral and practical. 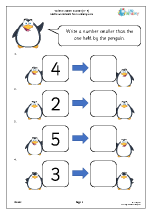 Children will be encouraged to say the number names in familiar contexts such as number rhymes, songs and stories. 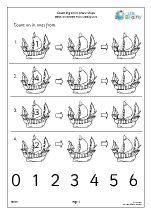 They will learn to recite the number names in order and continue to count from one and later from a given number (e.g. count on from 4). Fingers can, of course, be a great help at this stage. 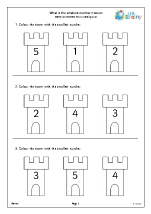 Practical apparatus is essential; counting a number of objects, first up to five and then progressing to 10, using one to one correspondence with each object. Whether its peas in pods, coins on a table or sweets in a jar, there are an amazing number of opportunities both at home and in the classroom. 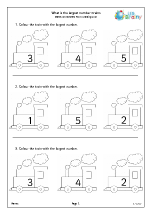 Part of this is for children to realise when counting that the number of objects is not affected by their size or position; six sweets are still six sweets whether they are spread out or close together. Children will also learn to count back from a given number. 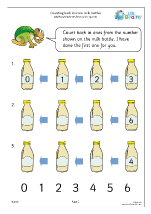 There are lots of fun rhymes and songs to help with this, such as, ‘Five little ducks went swimming one day’ and ‘ten green bottles’. Over time children will begin to recognise a small number of objects without having to count them all.